Spices are plant products in the form of fresh, ripe, fruit, seed, root, bark etc. 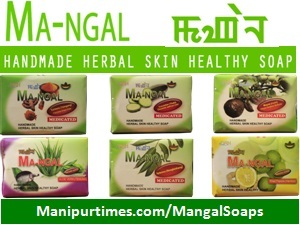 that contributes aroma, taste, colour, flavour, seasoning and pungency to foods and are generally small volume high value plant products that play an important role right from kitchen for providing colour, taste and flavour coupled with acting as an important ingredient in manufacturing of herbal medicines. 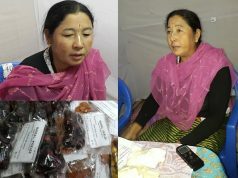 Against the unhealthy trend of depending on import from beyond the outside for every consumer item including spices products, M/S Shiho’s spices took up an initiative to produce home-made spices products within the State. 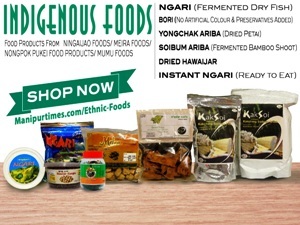 As of now, the enterprising agro-based processing unit is able to introduce some new different spices items under the brand “Pure Gold”. 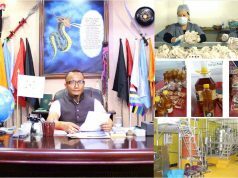 Success venture of Shiho’s spices was not scripted overnight, its founder Sugaijam Homendro of Singjamei Waikhom Leikai struggled all hardships to make it one of the premier spice brands in the state. Sugaijam Homendro, 57 years is the second son among five siblings of four sons and one daughter born to Sugaijam Basantakumar and Sougaijam Ongbi Achoubi Devi of Singjamei Waikhom Leikai. He passed matriculation from Ram Lal Paul higher secondary and graduated from Lilong Haoreibi College in Economics. He also studied Law at LMS Law College. However, he was compelled to drop his law study due to family problems. Homendro had a great enthusiasm for entrepreneurship since his early days of life. 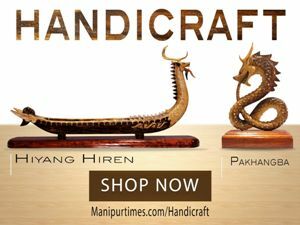 Compelled by his entrepreneurial spirit, he attended the 3-months Bare Foot Manager’s Training course at Takyelpat conducted by All Manipur Entrepreneurs Association in 1998. Using the skill he received from the training, he started commercial production of spices alone with no other workers in March 2001 under the brand Pure Gold. 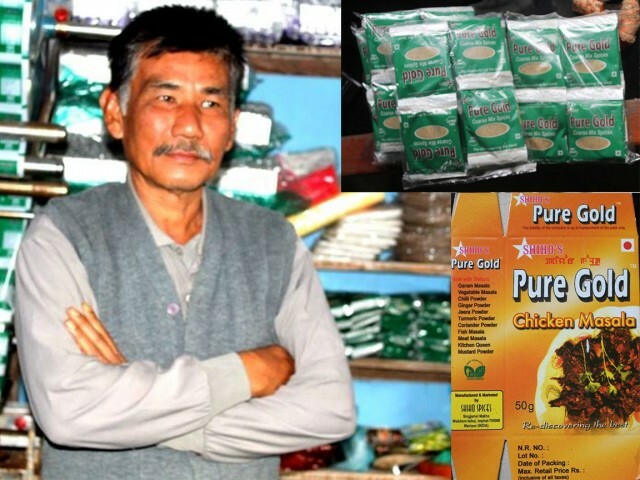 He initiated commercial production of turmeric spices with only a small investment of Rs 15,000 and with only 13 kgs of Turmeric imported from Moreh which cost only Rs 10 per kg by that time. He joined NETFI hub in Guwahaty where he could sell around Rs 20000. One Canadian woman purchased around 15 packets of turmeric spices from his stall. 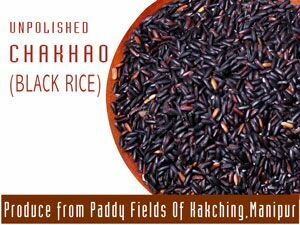 The factory is providing jobs to around 5 local women workers who are engaged in husking, packaging, washing of the spices. The workers are paid on daily wage basis. 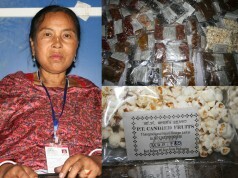 “As for the local market, we face tough competition with other rival brands thronging the Imphal market. In such a critical juncture, my factory has to produce without compromising with quality just to survive. 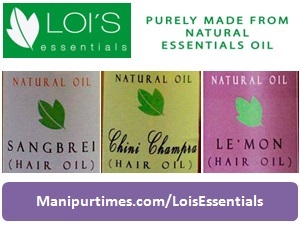 We believe that if we do not compromise with quality, people will appreciate our product. People who like quality products come to us. 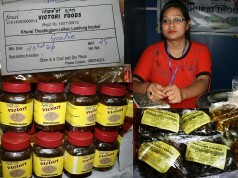 So far, Pure Gold spices is also among the quality brands on high demand in the local market”, claimed Homendro. He said that he now feels satisfied as he can help the socio economic condition of our state by providing jobs to many workers at his firm and that he has received appreciation from all walks of life. 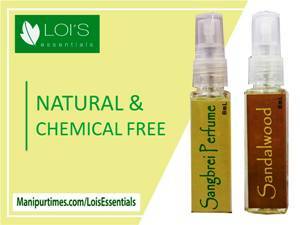 His product Pure Gold has reached a situation where other renowned brands cannot compete with. 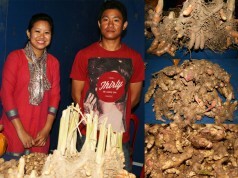 At present, fresh raw turmeric grown by the farmers of Yaingangpokpi area mainly feed the raw material requirement for the spice manufacturing factory. He said that fresh turmeric will be available at his factory all the year round. The turmeric is procured from the farmers in bulk. 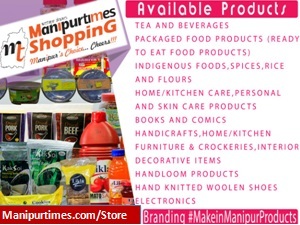 Manipur depends on others for every consumer item including spices products. As such, we are throwing away huge money from the state. I ventured to initiate such enterprise to help the economy of the state apart from creating jobs for many. It is natural to experience some hardships initially whether the unit is on a small or large scale. I too faced some unforgettable hardships in life. But with patients and determination, everybody can surpass such problems. I think, I have also surpassed the same, he maintained. Chicken masala paste is made of using ingredients like turmeric, coriander chili, cloves, black pepper, fenugreek, ginger, cardamom, cinnamon, garlic, edible oil and iodized salt. Other spices products include garam masala, vegetable masala, chili powder, ginger powder, jeera powder, turmeric powder, coriander powder, fish masala, meat masala, kitchen queen, mustard powder, coarse mix spices. With the hope of increasing production capacity of his factory apart from providing work to the rural farmers, he started farming of turmeric at Wakha, Keithelmanbi, Narankonjil and Kumbi for which he invested as much as Rs 80,000. He did the farming at the areas on lease. Unfortunately, he faced loss in the venture as he could get a minimal yield of turmeric worth Rs 15,000 only due to lack of work culture and sincerity on the part of the farmers with whom he worked. Basically, I ventured such farming in collaboration with the rural farmers to help them earn more income as well as feed the raw material requirement of my factory. I believe in mutual co-operation. Manipuris are generally lack of work culture. We need to change our mindset to bring a change in economy. 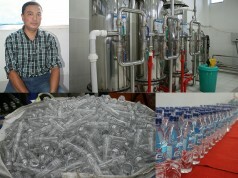 Despite loss in the business due to failure in the farming, Homendro did not give up his business venture. 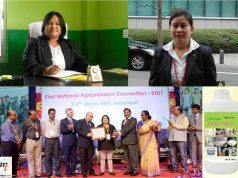 He borrowed Rs 11.86 lakhs as loan from the North East Trade and Finance Investment (NETFI) in 2000 and began the enterprise. After receiving the loan, He has been able to install machineries like packaging machine, pulverizer machine and dryer machine which are necessary for successful operation of a spice factory. He has repaid the loan. 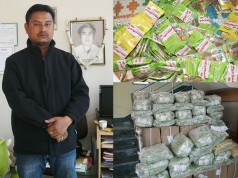 My factory might be first in the state to produce packaged turmeric spices, he claimed. 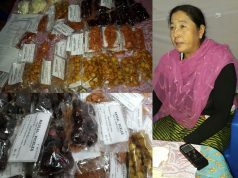 He sells his products using two auto-rickshaws, his products can reach out to many areas including Nambol, Lamlong, Sekmai, Thoubal, Kakching, Mayang Imphal, Koirengei. Earlier, he had 450 to 500 retailer shops in the state which sell products of his factory. He faced loss of costumers due to insincerity of his marketing agent. He is trying to expand his business and customers. Appealing to the younger generation, he said,” we can fulfill our target if there is patience and determination. So let us pursue our aim so that the socio economic condition of the state may prosper and show the other states that we also can do and survive. Very promising aroma of Manipur, PURE GOLD Chicken and Fish paste.